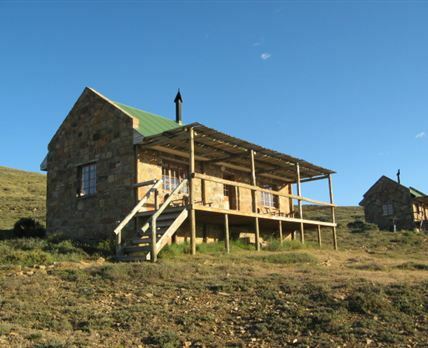 Drifters Karoo Lodge: The lodge is situated 45 km from Graaff-Reinet, not far from the Valley of Desolation in the Karoo. This remote lodge provides wonderful opportunities to explore the unique fauna and flora that this area has to offer. The property has been painstakingly rehabilitated and now offers one of the most interesting and diverse nature reserves in the region. Game on the property includes the rare Cape mountain zebra, black wildebeest and beautiful bontebok. Accommodation is provided in comfortable chalets crafted from local stone, each with its own fireplace, bathroom and unbelievable desert vista views. A communal living area has been created within the original farmhouse, which dates back to the early settlers and houses a cosy pub, a dining area and a lounge. Click here to enquire at Drifters Karoo Lodge.